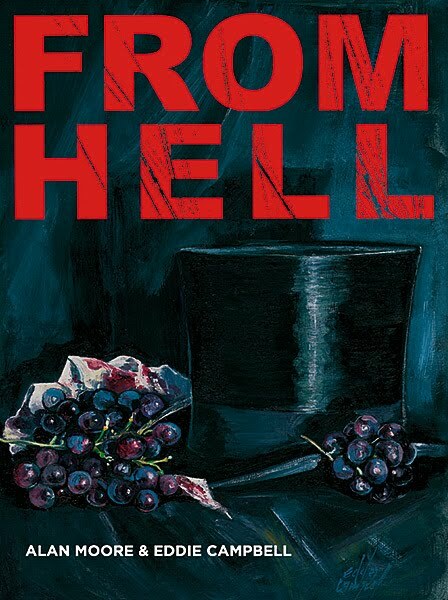 In 1996, the writer Alan Moore, and the illustrator Eddie Campbell combined their abilities to produce the now renowned graphic novel, From Hell. This intelligent comic book which is complex and starkly horrific links the series of Ripper murders to the high profile Duke of Clarence. For this, Moore's research was intricate and he provides many footnotes explaining where and how the writing veered from the truth of the 'facts' and descended into fiction - such as a final chapter in which Jack is seen travelling through time, his carnage having given birth to the horrors of war about to unfold within the twentieth century. Moore wrote this about his work: "It is my belief that if you cut into a thing deeply enough, if your incisions are precise and persistent and conducted methodically, then you reveal not only that thing's inner workings, but also the meaning behind those workings...'From Hell' is a post mortem of a historical occurence, using fiction as a scalpel." If you prefer a visually stylish, though somewhat watered down version of Moore's compelling story, the VV thoroughly recommends the 2001 film adaptation of From Hell. 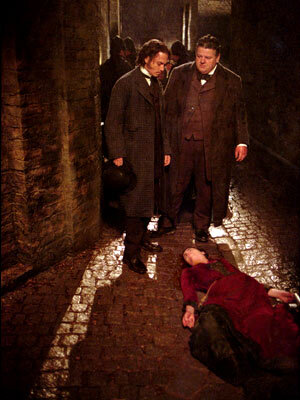 It stars the actor Johnny Depp - along with his amazing cockney accent - as the laudanum-soaked assistant to Robbie Coltrane's Sergeant Godley. A trailer for the film is available here. Labels: Jack the Ripper. From Hell. Alan Moore. 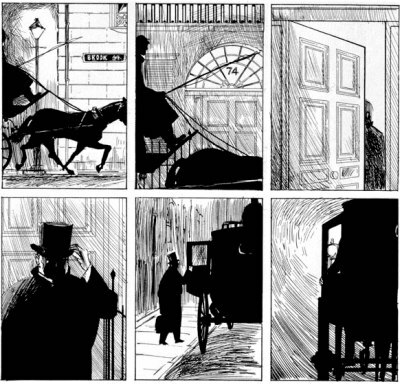 Eddie Campbell. Johnny Depp.